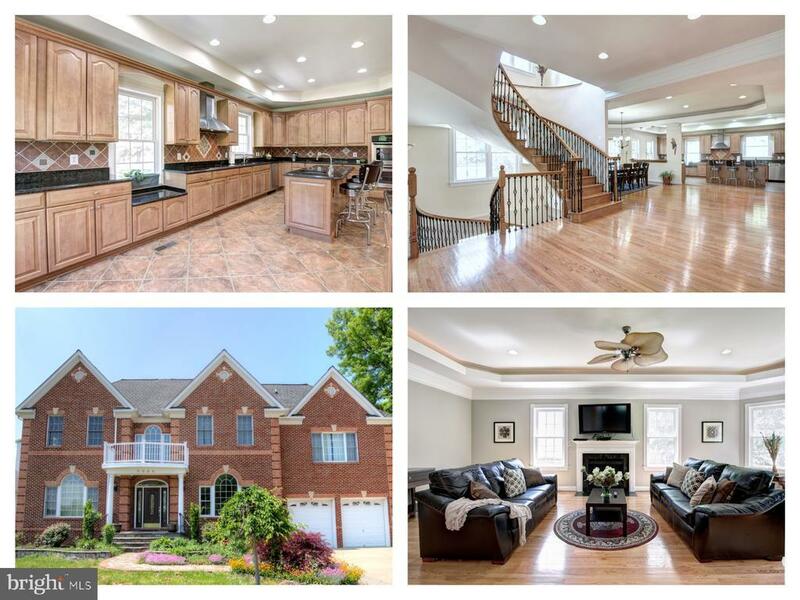 Grand colonial w/great accents over 7700 sqft within BLOCKS of SHOPS & SCHOOLS! Dramatic two story foyer, gleaming hardwood floors main & upper levels, 12 ft high ceilings & 10 ft doors & circular stairway. IMMACULATE LARGE open eat-in kitchen with large breakfast room surrounded by windows. Recessed lighting all 3 finished levels. Loads of natural light. Oversized master bedroom, bath, walk-in closet and sitting room. Huge lower level features games room, 3 additional beds, 1 full bath and kitchenettte. Lots of space for living, home offices & au pair. Minutes to metro and Rt 66 - luxury and convenience at its finest!